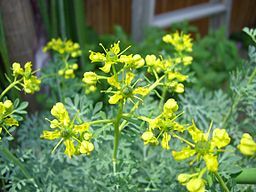 Ruta graveolens can reduce pain, inflammation and heal damaged tendons and ligaments. I knew this to be true from my education and from giving it to clients with these issues, but in the last two weeks I’ve seen it work wonders for someone close to me: my husband, Dennis. A few weeks ago, Dennis played Frisbee disk golf with our son, Jesse, and he slipped on wet grass and caught himself with his left arm outstretched behind him. He felt something in his shoulder hurting but, of course, he kept playing! He favored the arm and thought he’d heal quickly, as he usually does. Four days later he decided to accompany me kayaking in the mountains of Colorado above Boulder at beautiful Gross Reservoir. We made the 45-minute drive, got out kayaks in the water and lightening started flashing across the sky. After ten glorious minutes on the water, we packed up and headed home. When we were lifting the kayaks to hang them in the garage rafters Dennis’ end of the kayak slipped and he caught it with the same arm of the already injured shoulder. That was it. From then on he was in massive pain and you could visibly see swelling in the supraspinatus muscle in the rotator cuff area of the shoulder. At first he hit the ibuprofen pretty hard, even though I was giving him high potency arnica. After a couple days of arnica I was ready to switch to ruta; perhaps I should have switched much earlier. Live and learn. Within ONE dose Dennis’ pain went from a searing 9.5 on a 0-10 scale (10 being the highest level of pain) down to a 4-5! He’s been taking it regularly now for about a week and has little to no pain, is moving his arm fairly freely and performing mobility exercises to keep the muscles from atrophying. A visit to a nurse practitioner told us he likely had a torn rotator cuff, possibly the supraspinatus and he would probably need surgery. She referred us to an orthopedic surgeon in the practice but we won’t see him, nor have the requisite MRI, until August 14th. By that time, we are both hopeful that Dennis will have most of his range of motion back, little to know inflammation or pain and that the surgeon will not be interested in performing an operation. Even if he is, we may decline.